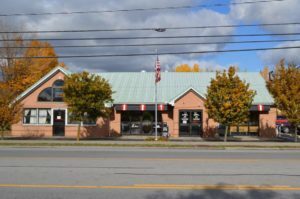 Local Diner serving many of the popular local favorites in Clarence, NY They are know for their breakfast, with a wide variety of items. Some of the popular breakfast items are the western wrap, carmel pecan pancakes, meat lovers wrap and cheesesteak omelet. Lunch and dinner offer a wide variety of sandwiches and entrees. Sandwiches such as the Chicken club, New Yorker, Farmer John burger and pepper jack chicken are just a few. Give some of their dinner entrees a try, such as Italian Sausage Parmesan, Broiled seafood dinner and roast pork tenderloin. We visied in early June 2018, enjoyed breakfast, Debbie and I both had eggs, home fries and maple link sausage. Very good! Sausage was outstanding, Debbie was telling the family about it a few days later.